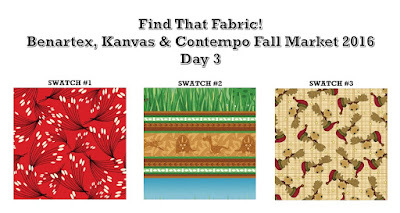 We're back with the last round of our Quilt Market game, Find that Fabric! 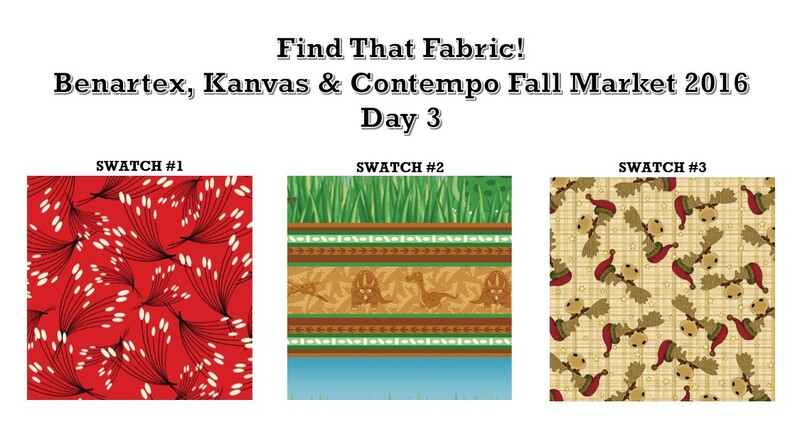 Find the fabric on our website and identify the collection name, the actual fabric name, and the fabric SKU. Email us at socialmedia23 (at) gmail.com by 10 a.m. Sunday, October 30 with the correct information for each swatch. Our Find that Fabric game is over! Watch for the answers and winners on the blog this week. Wow so many wonderful lines of fabric. Isn't this a fun way to get to browse them!